Could your furniture do with a facelift? 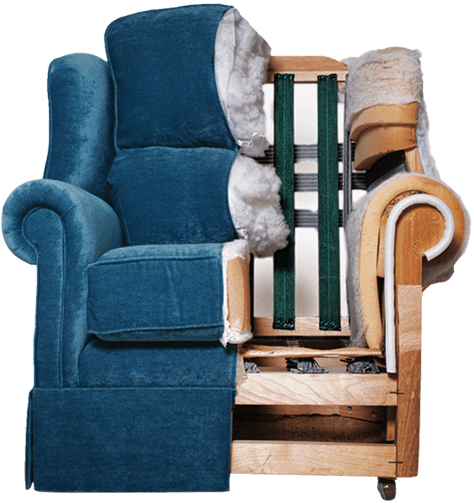 Offering the highest quality re-upholstery in Hampshire, our team of experts use traditional methods to bring your furniture back to its original glory, replacing damaged springs, joints, or padding along the way. Velvet, stripes or digital print? We’ve got it all. Revamp your home by re-upholstering a tired old chair, stool or sofa. We are a family business and value our customers. We want your home to look as beautiful as our own. So, if you like what you have but want it to feel brand new; if it fits perfectly or has sentimental value, come to Material Things for an impeccable re-upholstery service. For the money, why not just buy a new suite? The old saying ‘Things aren’t what they used to be’ is especially evident in modern day upholstery. Mass produced with little care and attention. When you’re re-upholstering a suite using traditional techniques, the older the furniture the better. 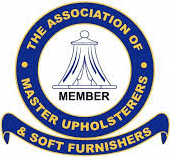 With a solid foundation, our Master Craftsmen will restore your furniture to its original appearance and feel. But if you want it a little softer or firmer, just let us know and we will aim to accommodate. Our handmade British furniture can be upholstered in any sofa fabric in the world. From our concise collection of ‘house’ fabrics to best-known designer sofa fabric brands, or even a fabric you’ve found elsewhere.